» The Ultimate Zero Degree Sleeping Bags – Survive the Cold! The Ultimate Zero Degree Sleeping Bags – Survive the Cold! While casual campers stow away their tents and sleeping systems come fall, for others the camping season is far from over. Those individuals that don’t let bitter cold winter nights stop them from enjoying the outdoors know how important staying warm is. While a tent is the main shelter that protects you from the elements, it is the sleeping bag that will really dictates just how warm you stay. The last thing you want to experience is a zero degree bag that isn’t truly a zero degree bag. When temps get down that low you simply cannot afford to risk your health with untrustworthy bags. Save yourself the worry and consider one of these three. Feathered Friends isn’t as well-know of a company compared to other name brands but don’t let that sway your interest. The Snowbunting EX is a serious sleeping bag that will keep you snug at times down to zero. This model comes very highly praised and is a top choice for those with a large budget to spend. The Snowbunting is a popular winter bag for campers that need something lightweight and compact but can still handle cold nights in the backcountry. 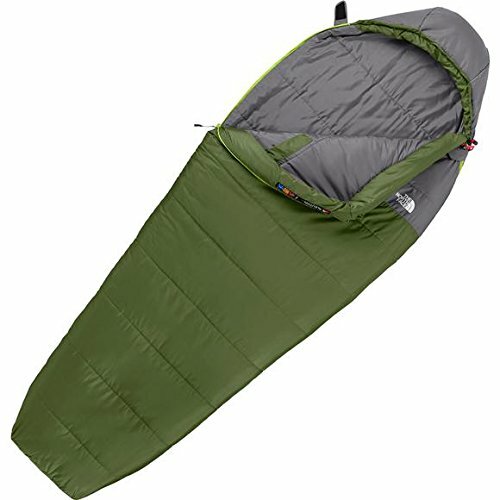 Despite using real 900 fill goose down, this model is quite compact and a great option for those that will be backpacking to their camping site. This is a unisex bag that comes in two sizing options depending on whether you are up to 6′ tall (regular) and up to 6′ 6″ tall (long). It is a traditional mummy shaped bag but is roomy enough inside that with winter sleepwear you won’t feel trapped or uncomfortable. The hood is a good size for most but may not feel snug if you sleep with a very thick hat on. Feathered Friends used Pertex for the lining as well as the shell of this bag. The shell is a 15 denier Pertex Shield fabric which is waterproof. There are also 40 denier ripstop nylon reinforcements on areas of the bag prone to wear. The lining is a softer nylon taffeta that is breathable to ensure you don’t get too warm. This sleeping bag is considered winter or expedition quality, and it certainly lives up to this label. Retailing for a just about $600, the Snowbunting isn’t cheap but vast majority of customers will boast that it is money very well spent for the serious adventurer. 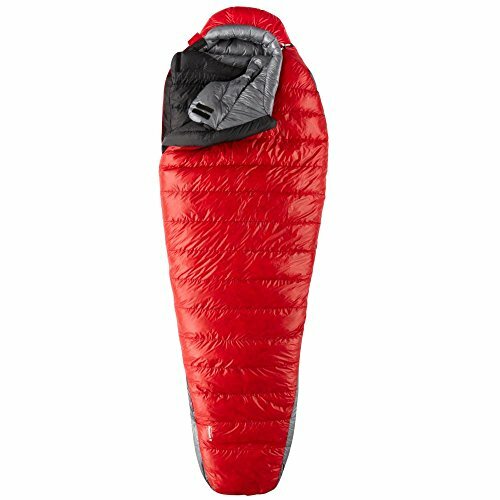 Mountain Hardwear has a few different winter sleeping bags, with the Phantom 0 ranking as one of the better ones in terms of durability, comfort and pure warmth. This bag is sleek and a bit high tech when it comes to how it keep the user so warm. Mountain Hardwear made the Phantom 0 with backpackers and climbers in mind, meaning this bag was designed to be incredibly warm yet incredibly easy to pack. This bag compressed down into an 8″ stuff sack (comes with bag) and easily puffs back out to full size once out. The 10D filament weaved shell is extremely soft to the touch and quiet. This bag is stuffed with Q.Shield insulation which is more high tech spin off of regular goose down. Instead the down in Q.Shield has had a treatment which does two things – it is more moisture resistant than normal down and it will retain more loft if moisture does invade. For winter camping trips these are excellent features since humidity in the tent is a common issue. The Phantom 0 has a few other nifty features, such as a corded hood and neck baffle as well as two internal pockets for your phone or a small travel alarm. The shape of the bag is considered a performance cut which is slightly slimmer and more fitted. There is still room for comfort but the cut in shape means less weight and better warmth. You can check out this link for the latest pricing. If you’re on a budget it doesn’t mean you can’t still find a quality sleeping bag for temps down to zero. Even though The North Face is known for higher end ear, their Aleutian 0 bag is priced extremely well for those that don’t have a large amount of money to spend. If you need a bag under $200 (as of this writing – check here), this one should be on your wish list. Right off the bat you can see that the Aleutian 0 is significantly heavier than the other two sleeping bags. While this is a downside for backpackers, not every winter camper is concerned about this weight. If you are a car camper or someone that doesn’t need to walk far to camp, the extra weight won’t be a problem. Finding a compromise between weight and price is a difficult, but with the price of this bag it is easy to see why it is still an excellent choice. TNF decided to use Heatseeker Eco which is a synthetic insulation made of 30% recycled materials. It really traps in heat and will keep you warm down to 0 if you wear appropriate clothing. The ability to choose different sizes and zipper access is great. 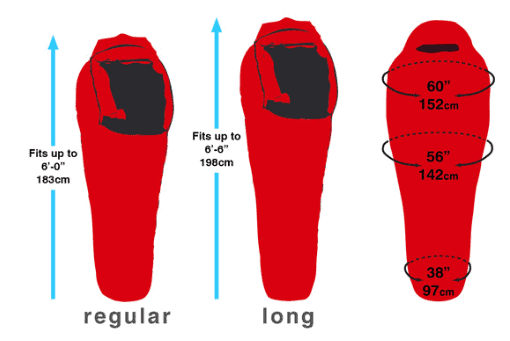 There aren’t as many sleeping bags for people who are very tall so the Extra Long model is great for those who are over 6.5′ tall. The Aleutian 0 looks great, works really well and is more affordable than others in it’s category. If the weight isn’t a problem, this bag is a great option. Check the latest discounts here. Camping in winter can still be fun- if you have the right gear, that is. All three of these sleeping bags can handle temps down to 0 and will be more than warm enough for average winter camping in the 20-40F range. Be sure to carefully research a prospective bag before purchase and ensure it can handle the worst potential lows you may experience on your trip.